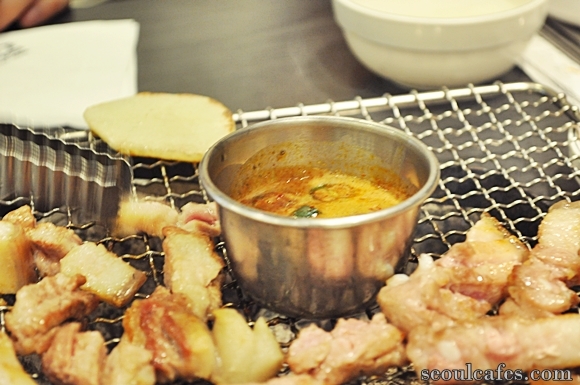 HEUK DON GA is a famous restaurant known for its Jeju black pigs - pork. They are by far the cleanest and tastiest restaurant that serves this special meat. Jeju black pigs are highly priced for the taste and not many restaurants can boast about its authentic meat like H.D.G. yummm - is it ready yet?!! If you want good quality grilled pork, highly recommended. It's a big restaurant that can seat big groups and can get packed at times. We always had to get on the waiting list - it's a very popular restaurant. They have restaurants all across Seoul. thank you very much for the kind comment. I currently do not have any newsletters, but thank you for the interest. Hello! I would like to ask if you know how much would it cost for a meal in HEUK DON GA? Thank you!